Crawdaddy’s West Side Grill is like a slice of New Orleans right in the middle of Cookeville. 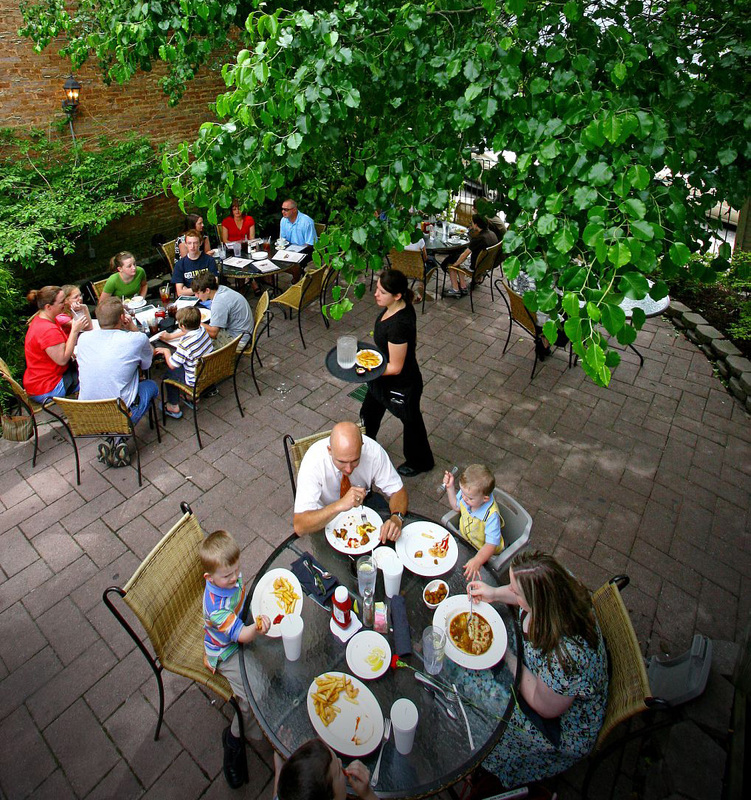 A local favorite in both the dining and nightlife sectors, Crawdaddy’s offers a diverse menu and lots of outdoor seating in the courtyard and on the balcony of its 100-year-old brick building. Though many entrées are Cajun-inspired, Crawdaddy’s doesn’t limit itself to Cajun fare. Menu favorites include appetizers such as Gator Bites (Cajun-battered and fried bits of alligator tail), steamed mussels, fried oysters and several dips, from the Pesto Goat Cheese Dip to the Bayou Shrimp Dip. Of course, no meal is complete without dessert, and Crawdaddy’s does dessert in true New Orleans fashion. “We make our own crème brule and bread pudding, and they are best-sellers on our dessert menu,” Blalock says. Blalock and Hensley bought the restaurant in 2007 after working together for several years at a national chain restaurant. They hoped to improve on what the previous owner was already doing at Crawdaddy’s, but they didn’t expect the huge amount of success they’ve experienced. “We’ve been able to increase our sales every year, which surprised me considering the state of the economy,” Blalock says. In 2009, Crawdaddy’s was voted the Best Local Restaurant by readers of the Cumberland Business Journal. The key to their success? A slew of loyal customers who keep coming back over and over again.